Touching sound: The new Bösendorfer Disklavier Edition High Definition Player Piano. Just sit back and experience the sounds of great musicians. A tribute to precious materials, breath-taking aesthetics and master craftsmanship. 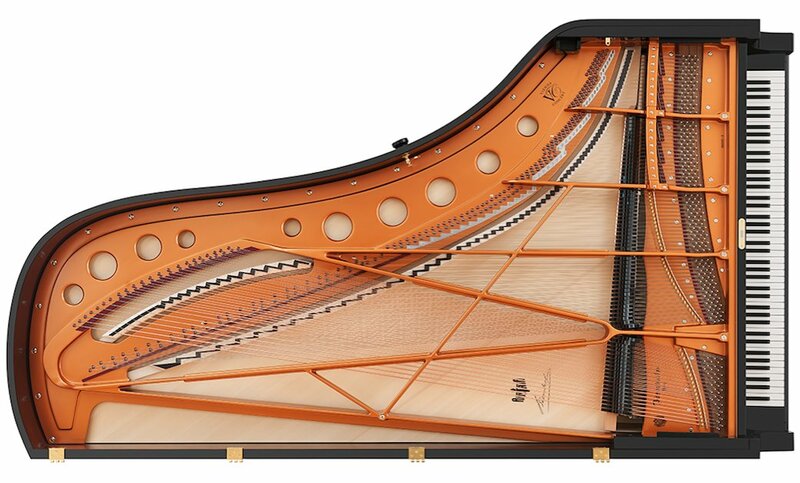 Unique in design, sound and perfection: our Bösendorfer Collector's Edition. Whether tender and playful or brilliantly bright, astonishingly heroic: the world of music and artistic expression knows no limits. Listen in and experience the Sound of the Piano - we keep you updated on recent events and recitals. Read about our newest inventions in our engineering department, insider reports of our people, launches of new Bösendorfer Collector's Grands or interviews and personal insights of piano artists: everything found in our news section.